On Friday nights, the teens at the ROOT Teen Center, in Kingman, Arizona, help themselves to the food set out for them. They are blessed by the close to 600lbs of bread, fruit and vegetables The Lord provides for them on Friday nights, the 1st part of this outreach. 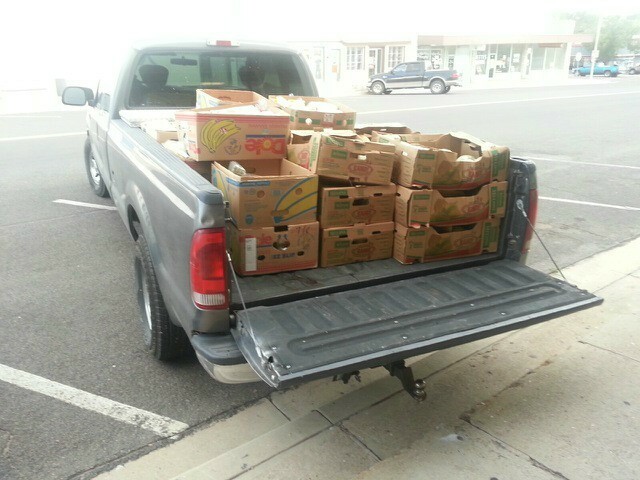 On Saturdays, the food truck is loaded a few more times, with over 500 lbs of bread, fruit and vegetables each time, and taken out to the streets in Kingman, Arizona. We drive up and down the residential streets talking to whomever is out and about offering free food, Bibles and prayer. 7 years after our last food truck ministry stopped, God started it up again. Praise God! 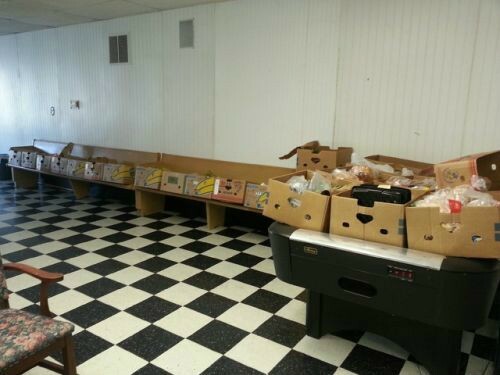 We are praying for God to send others to come along and help with the work as it can be very labor intensive moving around hundreds of pounds of food each week and getting it out to people on the streets who need it. As before, God is faithful and will send helpers with hearts to obey the promptings of the Holy Spirit, share the Gospel message of Salvation through a personal relationship with Jesus Christ, who have a burden to reach out to and pray with/for others, give away Bibles, website info, warn others, etc. The food truck outreaches sow the seeds. God does the work in the hearts of the people reached. Jesus met the felt needs of the people before He Ministered to them. If they were hungry, Jesus fed them physically, before feeding them spiritually. Jesus says in Matthew 25:40: And the King shall answer and say unto them, Verily I say unto you, Inasmuch as ye have done it unto one of the least of these my brethren, ye have done it unto me. The disciples did not have the same vision which Jesus had. This is why He urged them to lift their eyes and look in order to see the great need as He saw it. We must see the world as God sees it. This is essential if we are to develop proper spiritual vision. Focus on the harvest fields of the world. The Bible states in Psalm 66:7: "His eyes behold the nations." What does God see when He views the harvest fields of the world? When God's eyes behold the nations of the world, He sees a spiritual harvest perishing because of the lack of harvesters. There is approximately three billion people representing over 16,000 culturally distinct people groups yet to be reached with the Gospel. There are over 2,000 languages for which there is no translation of God's Word. For every 10,000 villages in India, 9,950 have no Christian witness. In Japan the total Christian population is estimated at only one percent. In Latin America there are at least five million people in jungle lowlands who have not been reached with the Gospel. There are 750 million Muslims with only approximately 500 Protestant missionaries ministering among them. The need in other nations of Africa, Asia, South America, and the Middle East is similar to these examples. This is what God sees as He views the nations of the world. If you want to start similar outreaches in your community, help us reach others with the Gospel, and help warn others, the article below provides some good information to help you get started.